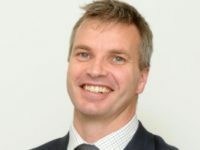 Mike Gilson was axed this week by publisher Newsquest after just under two years as editor of Sussex daily the Brighton Argus. A hugely experienced regional press heavyweight, he was widely credited with giving the paper a sharper edge and investigative focus. His role is not being replaced but shared between existing staff. Here he writes about his achievements at the Argus, the dramatic decline of local journalism and what can be done about it. This is one of a series of essays contained in Last Words? How Can Journalism Survive the Decline of Print? published by Ambramis. From her hospital bed Evelyn Kennedy looked up at her family and pleaded for help. Evelyn was 89 years-old when she died. The independent great-grandmother’s fatal misfortune was to fall and hurt her hip. This would bring her into contact with a struggling institution, an underfunded, harassed sometimes mismanaged hospital from which she would never return. For all the dysfunctional structure it was also carelessness that did for Evelyn. She was a bewildered pensioner caught in a process, she had no voice. In the end they had even lost the wrist tag which identified her. After the fall Evelyn was taken to the acute medical unit of the Royal Sussex Hospital in Brighton. 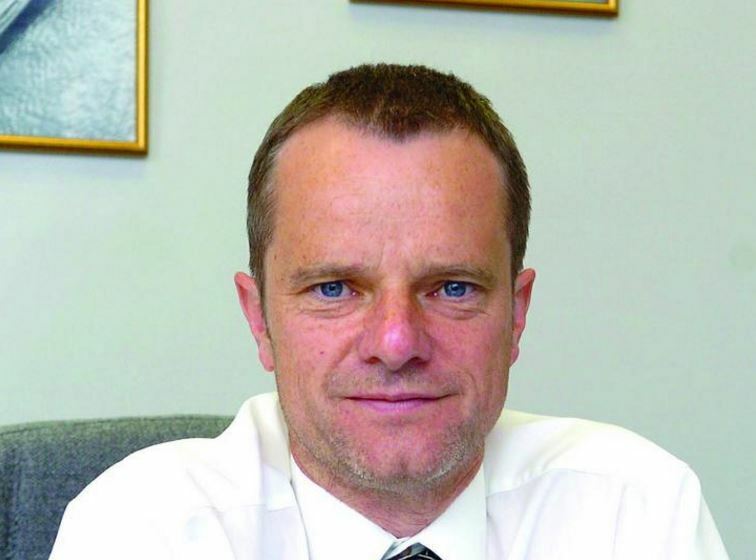 In the last five years the Trust which runs the hospital has had a carousel of government-appointed trouble-shooting chief executives and directors brought in to sort things out. Just five days into her stay at the acute medical ward (AMU) Evelyn was lost. Dehydrated, soiled and with hideous sores in her mouth she was transferred to another ward but it was too late. She died five days later. What the family didn’t know and might never have is one month before Evelyn’s death, in November 2014, the hospital received a letter from Brighton’s coroner warning it she had serious concerns about the AMU. It was she said “not fit for purpose”. The subject of the coroner’s concern was the death of year-old Linda Rignall in the AMU from an undiagnosed blockage in an artery. The coroner was clear. Linda was showing enough signs to warrant immediate further investigation which could have saved her life. And this wasn’t even the first time that such a letter arrived. Evelyn Kennedy, Linda Rignall, Herta Woods, Stephen Palmer, Jane Tompkins. Five deaths in two years. All avoidable. How do we know this? One thing is for absolute certain. We do not know these names because the NHS Trust management decided openness was the best policy. The Kennedys received no apology at the time. Neither did any of the other families, some of whom found out the manner of their loved one’s death months later. It simply hadn’t occurred to them a hospital could be partially responsible for the deaths. 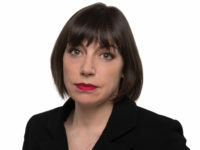 Rachel Millard has a belief local reporters should hold the powerful to account, tell people things they didn’t know, neither confirm prejudice nor write puff pieces. It is a philosophy perilously close to dying out in some parts. A source of Millard’s had the details. She could be trusted. The story published last year in Millard’s newspaper, The Argus, shocked families. Finally the hospital issued a statement which majored on the tireless work of staff at the unit but did say changes were to be made including a better staff-to-patient ratio, regular team meetings, the appointment of a matron and education for staff on dementia. It was understandable if readers wondered why all this hadn’t happened before. There was no expansion on why management hadn’t acted on the coroner’s warnings but there was finally an apology to the families. Emily Kennedy had a simple reason for talking to a reporter for the first time in her life: We just don’t want this to happen to anyone else. Ashley Hackett has been living on the streets of Brighton for the last eight years. Hackett, 34, has not always helped himself. With a long-standing drug addiction he has not been the most willing participant of the support networks and rehabilitation schemes which social services, charities, housing associations and the police operate in the city. Last November Hackett was reading a newspaper after an uncomfortable night in a doorway on Western Street when two smartly dressed men walked very slowly by. He got out his begging cup and asked for ten pence. Less than 30 minutes later he was at the central police station being charged under the 200-year-old Vagrancy Act. The men were plain clothes police officers deliberately targeting beggars. In the station he refused to take a drugs test which would have shown he had heroin in his body. At that moment he became a criminal. Hackett was just one of 17 homeless people brought before the courts for begging after being arrested by undercover officers in two months around Christmas. A total of 62 were arrested last year. The previous 16 were all fined in cases which cost the tax-payer £16,000 to bring to court. The possible irony of fining homeless people for begging for ten pence appeared not to have been recognised. More than 60 per cent of those fined never have the money to pay a single penny. Brighton’s magistrates’ building is a warren of corridors and functional court rooms. Harassed defence solicitors dash to and fro while their clients loiter around the vending machines. A court reporter could easily spend a day down there jumping between courts getting nothing juicy. Some days it’s like digging for tin in an exhausted Cornish mine. Little wonder that fewer and fewer journalists are to be found there. So it was thin gruel the day chief reporter Emily Walker met defence solicitor Ray Pape in the corridor outside court 6. Pape mentioned he was concerned about the number of homeless people coming before the courts. He said magistrates had begun voicing their own concerns while being forced to bring in the only sentence they could. Trouble was without anyone witnessing these hearings on a daily basis it was a cry in the wilderness. Pape took Walker to see Hackett. The story which followed wasn’t Watergate. It wasn’t even the best story in Brighton that week. But it was important. That could be gauged by the reaction of the police. Senior officers were furious with the story claiming The Argus had presented a partial picture. 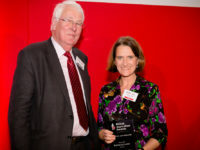 The “multi-agency” approach in Brighton had won awards. Homeless people being brought to court were thus forced to enter a rehabilitation system which might free them of drugs. Nothing was said about lawyers, magistrates and homeless campaigners who protested about the arrests nor of the 30,000 names who signed a online petition following Walker’s story calling for the practice to end. Two weeks after the story Hackett came before the courts prosecutors performed a volte-face telling magistrates the issue of bringing homeless people to court had become “particularly sensitive” and they and the police wished not to continue. District judge Teresa Szagun told them: To proceed with this case is plainly not in the public interest. By refusing a drugs test Hackett has a criminal record and must pay a court victims’ surcharge of £60. A number of things troubled the newsdesk about the terrible death of Janet Muller, a German studying at Brighton University. Janet, who had suffered from severe mental illness for many years, was burnt alive in the boot of a car. Her killer, an unemployed drifter called Christopher Jeffrey-Shaw escaped a murder charge because the prosecution couldn’t prove he knew Janet was still alive when he set fire to the car. The jury had to accept a fantastical alibi he and his victim were caught up with a drugs gang and she with an armed robbery which went wrong. Jeffrey-Shaw was convicted of manslaughter and will serve eight years in prison. Janet had been Sectioned under the Mental Health Act at a unit called Mill View in Hove run by the Sussex NHS Partnership Trust. 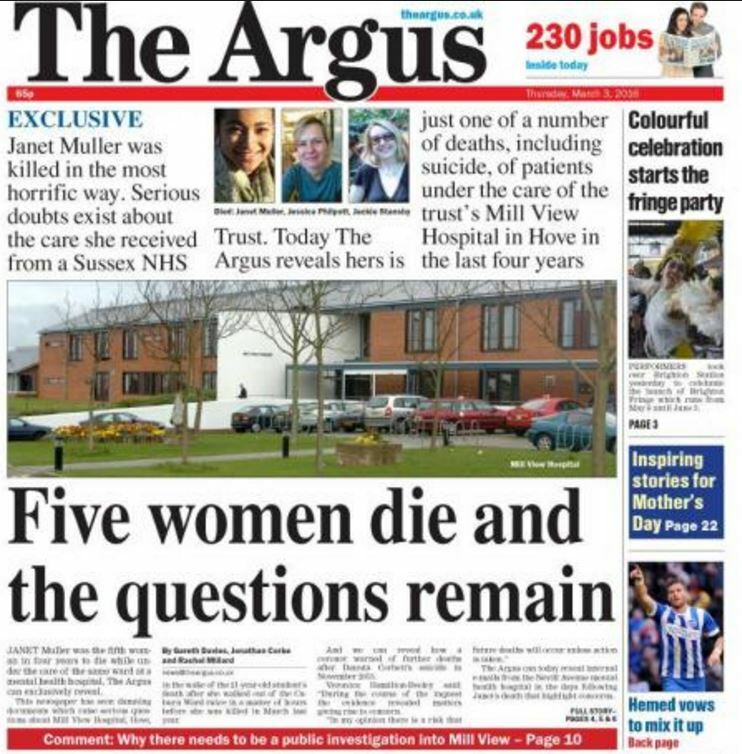 While attention focused on the motives for the killing Gareth Davies, a reporter on The Argus, began to ask the Trust questions. But this would take time, time few regional newsrooms have in these days of 24/7 news cycles and diminished numbers of reporters. A Freedom of Information request revealed emails from a governor of the Trust to the chief executive in which she lamented “another life had been lost from Caburn Ward” the female unit at Mill View. The chief executive promised a full inquiry but this had already taken place it appeared and would not be made public. Janet had left Mill View the day before she died by simply walking through the front door. She was found wandering the streets and brought back to the hospital where she was supposed to be supervised at all times. That night she simply climbed over a wall in the garden of the unit using vines from a creeper that had been allowed to grow and disappeared. Her charred body was found in the boot of the car two days later. A planning application to make the wall higher had been submitted the day before she fled. There was more to come. Four patients under the supervision of Mill View had committed suicide the year before, one jumping from a block of flats while her carer was inside. As far back as 2013 a report had recommended security measures be improved at the unit but little work had been undertaken. The Trust said lessons had been learned and extra training given. Findings of the inquiry had been shared with “our partners”. These partners did not include any of the relatives of the dead patients. That job was left to the newspaper. All these stories happened within 12 months in Brighton. They are perhaps not untypical of events which occur in towns and cities up and down the country every day. But what unites these stories and thousands of others like them in the communities in which we live is you might very easily not have known about them. The Brighton stories could easily have forever existed in a little orbit of their own, unheralded by anyone, unremarked. Journalists made sure this was not so. The institutions of the state exist to provide checks and balances. Handsomely paid watchdogs look over the police, government departments, local authorities, our hospitals and a host of other organisations paid for by us and supposedly working on our behalf. But who watches the watchers? Where do the concerns of the coroner of Brighton find space when even the watchdogs seem powerless? We know journalism is in crisis but very little has been said about the profound democratic deficit that would follow any meltdown? Since 2008 more than 8,000 journalists have lost their jobs. Ironically this has not been deemed important enough a story. Newspapers have folded, commercial television news is decimated and only the BBC has staff in numbers even though at local level it still often feeds off what is left of private sector reporting. Just as in music and books digital technologies have driven a coach and horses through media company business models. This we know. Most news from traditional media is given away free online on a drive to build vast audiences, this we also know. 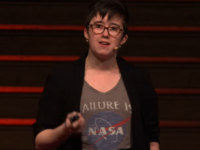 Only recently have there been attempts at local level to redefine what is published online and where building mass ‘drive-by’ numbers sits with what some might say is old-fashioned journalism, in other words telling people things they didn’t know and having to spend time finding those things out. The debate is still nowhere near exhaustive and urgent enough. Does any of this really matter? Hasn’t the explosion of democratising technologies swept away the old order so now even the back bedroom warrior can hold government ministers to account? Why do we need ‘gatekeepers’, salaried journalists and their editors, to filter what we should know? Aren’t we all reporters now? In Brighton searing images and accounts of the Shoreham Air Show tragedy last year, as an out-of-control vintage aircraft sped from a clear blue sky into unsuspecting motorists on the A27, were online before journalists, photographers and writers, had even made it to the scene. But we still need journalists with the time, training and passion to avoid this ever-increasing deficit. No amount of digitally empowered bloggers, many of them diligent thorns in the side on a range of issues, will make up for the loss of professional reporting. In some towns courts, council meetings and trust boards are all going unreported now. Meanwhile the explosion of press officers, more often journalists fleeing a shrinking industry and skilled at ‘social engagement’ now outnumber salaried journalists in many areas. Digital technologies will continue to evolve, changing the world as it does. There is no turning back the clock. But society must have a discussion about direction of travel otherwise a pure technological determinism will hold sway. There are many issues now facing the print industry. It needs strong, passionate leadership more than ever before. For what is manifestly obvious, and surprises the outside world, is the industry has a poor record in promoting its merits. 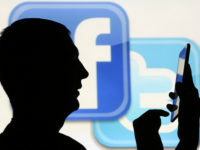 Many strategies are being devised to protect revenues and find new streams, largely on digital platforms. Yet efforts to promote the purpose of journalism and the printed product which still pays for the lion’s share of journalist endeavour seem underwhelming. 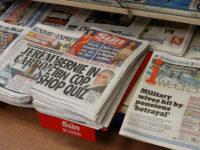 Industry bodies, companies and editors, perhaps wary of the standing of the profession in the post-Leveson world, have been too shy to conduct a sustained and coherent campaign about its importance to society. It all sounds too pompous and maybe even desperate. But has the industry really engaged the public in a debate that starts with what is blindingly obvious: if you don’t pay you lose it? Signs both at The Guardian and in the US, at big titles like the New York Times, that readers will respond, if only a trickle at present, to such a ‘call to arms’ are a start. Of course many will say the steep declines in newspaper sales figures are already the readers’ answer to the question. And even if the question is asked loudly and clearly it may well be some titles have reached the point of no return. They simply aren’t good enough to justify the cover price. But many still may be, providing they are producing the sort of journalism described above consistently enough. This is the time for a concerted explanation, a campaign if you like, to tell society what we will all miss if the cull of journalists continues at the same pace. Only after such efforts, when the debate is fully aired, might we have to conclude print-based journalism has no place in the shiny future. It goes without saying digital journalism must continue to evolve quickly and meet the technological demands of its users. That is taken for granted. But that does not mean print journalism’s decline should just be a matter of extending the graph until the figures fail to stack and crossing fingers hoping to get even that far. The printed product can be re-invented, or at least we must not forget it must remain an intrinsic part of the industry’s evolving strategy. Long form journalism, analysis and investigation remain the best hope for the printed product on all levels. A journalism which eschews the helter-skelter 24/7 news cycle might still find a place in the market. This would often be less frequently, from daily to weekly or even monthly, and it would have to be unapologetically intelligent, commanding of premium cover price, targeted more carefully than the centuries-old scattershot distribution models we still use. In the regional press the change from daily to weekly has often resulted in customers getting a sixth of the mediocre product they were offered before. This is nowhere near good enough. On a regional level, upmarket and intelligence is the target, losing readers who do not fit the profile might be collateral damage that will have to be borne. Cover price increases for a quality product that delivers the right readers for advertisers is the goal. Everywhere we will have to take what might be called the Private Eye/Economist test when talking about print products’ role in any future. Is it exclusive, targeted and unavailable anywhere else? It will have to exist apart from its digital operations, a real Back to the Future move, or it might be it has to come from a new start company. But a compelling, in-depth, punchy, physical news product produced with panache which asks readers to invest time and rewards that investment might still have a role amid the communications white noise filling the air around us. The democratic deficit is real and it is happening now particularly at the unheralded, unglamorous local level, where we all live. With Evelyn Kennedy, Ashley Hackett and Janet Muller in mind we should begin the debate now. Mike Gilson was group editor of Newsquest Media (Sussex) Ltd, based at the Brighton Argus, and also editor of the Belfast Telegraph, The Scotsman, The News, Portsmouth, and the Peterborough Evening Telegraph. Great article from Mike. Sadly, too many lunatics running the asylum at present.